Know where at outfit is from/Want to find an outfit we dont have posted yet? Ask about it in the Hart of Dixie Forum. 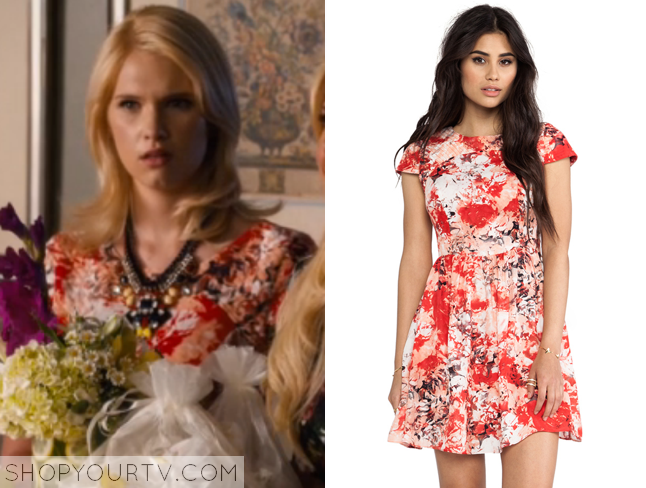 Magnolia Breeland (Claudia Lee) wears this red multicolor floral printed dress with shirred skirt in this week’s episode of Hart of Dixie. It is the Parker Kinley Dress. Sold out. Hi..I was wondering can someone give me a link on the vest she’s wearing I adore the look and have been looking for a similar one !! do you have any more bags like that one or do you know where I can get one like it.